Soundproofing can turn a closet into a perfect space for a recording studio or even a secret cinema room. Soundproofing can be very expensive if you hire professionals, yet there are plenty of things you can do yourself very cheaply which will significantly reduce the amount of sound that escapes from your closet. If your closet is uncarpeted then sound vibrations will easily travel through the floor. Floors are one of the largest areas in your closet that sound can easily leak through. A simple way to make your closet floor more sound resistant is to simply install a rug or carpet as these make excellent sound dampeners. Simply install a thick carpet or cover your floor with multiple rugs. This will muffle any sounds you make in your closet and prevent vibrations from travelling easily through the floor. For the best results choose a deep pile carpet or use the thickest densest rugs you can find. Don’t be afraid to layer your rugs up too for maximum sound dampening. As we repeatedly mention here at Soundproof Panda, weather stripping is one of our favourite soundproofing materials. It is very cheap and it can be an incredibly effective sound blocking tool if you have a poorly sealed door. Most closet doors aren’t built to be soundproof, they are usually thin and flimsy and don’t fit their frames particularly well. If that sounds like your closet door then check out our article on how to soundproof a door for loads of tips. Weather stripping can be used on your door to seal the gap between the door and the frame. Peel the sticky back off the weather stripping. Work out exactly where the door meets the frame. Stick the weather stripping down every side of your door. Now when you close your door you should notice a much tighter seal which will make it harder for airborne sound to pass out of (or into) your closet. IMPORTANT WARNING: Many closets may do not have windows or air vents so do not seal your door if there is no air inlet. 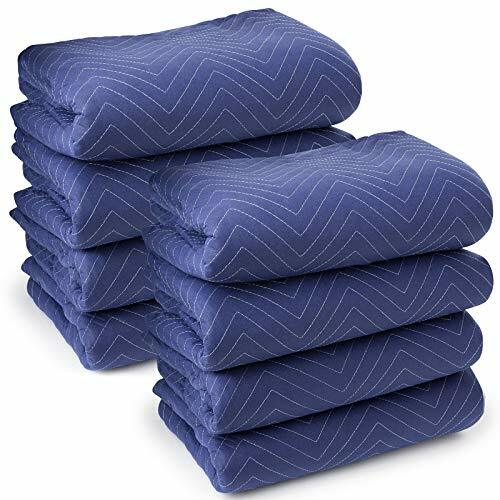 Moving blankets are blankets which are specifically designed to wrap your belongings in when you are moving house to keep them from getting damaged in transit. Moving blankets and thick dense blankets which are ideal for soundproofing a closet with (yes you can soundproof a room using blankets!). Hanging moving blankets on your closet walls will help muffle and deaden any sound vibrations before they hit the wall, thus reducing the amount of noise that escapes. Closets by nature are full of shelves. Depending on what you plan on using your closet for you may wish to remove the shelving however this is not always a great idea when it comes to soundproofing. A very simple way to help soundproof your closet is to fill all the shelves with thick fabrics. For example store your towels, spare duvets and blankets in there. If you have enough to cover the walls from the floor to the ceiling this will make a huge difference. A simple way to reduce the sound that escapes from a recording studio space is to get a reflection filter. 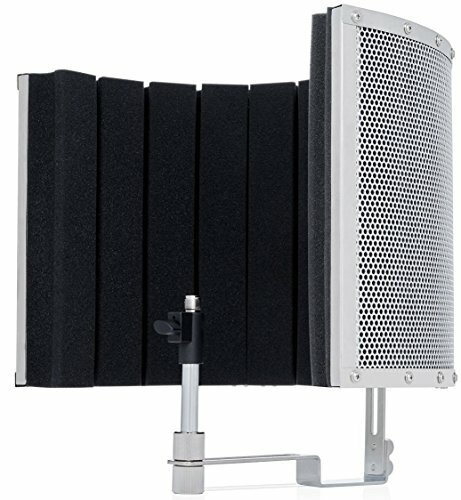 A reflection filter is a curved panel which sits around a microphone, it is designed to absorb sound that would otherwise bounce back into the microphone and distort the sound quality. While strictly speaking this isn’t soundproofing it will help reduce echo and will dampen sound before it hits the closet walls which will help reduce the perceived amount of sound which leaves your closet. Reflection filters are ideal for small confined spaces, so if you have a particularly small closet that you wish to use as a recording studio then this could be a good option. Bass traps are designed to absorb acoustic (sound) energy, specifically low-frequency sound such as the sound made by music with a heavy bass line. If you plan on using your closet for band practice or to play some tunes in then the other people living in your home will thank you for using bass traps! Bass traps are most effective when used in the corners of a room, pretty much all bass traps are designed to be slotted into a corner. Simply fit them into all four corners or your closet and you’re good to go. For more information on bass traps and how best to use them check out this bass trap guide. You don’t have to travel far off the beaten internet path to find articles which will say that you should use acoustic foam panels for soundproofing. 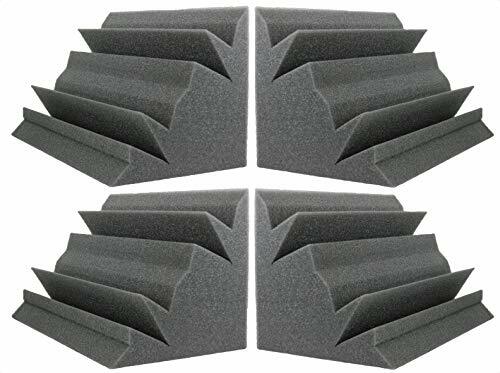 Acoustic foam is not designed for soundproofing, it is designed to reduce echo in recording studios or cinemas. It won’t do anything to reduce the amount of sound travelling through your walls. Instead, it simply stops sound from bouncing off the walls and reducing sound quality. If you plan on using your closet as a recording studio or a cinema room then adding acoustic foam is a good idea as this will make the acoustics much nicer, but it will do nothing to soundproof the room so make sure you use some of the other methods we have mentioned above before applying acoustic foam. Hopefully these tips will help turn your closet from a messy clothes storage space into the mini cinema, music room or recording studio of your dreams!